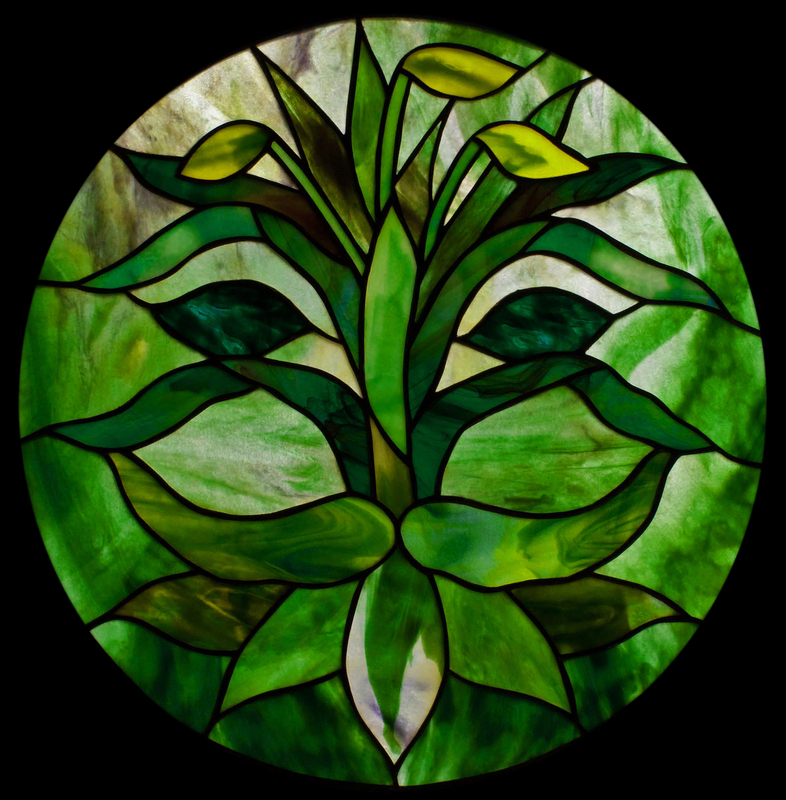 One is never sure how a color scheme is going to pan out so I have started this panel by cutting a flower, some background and leaves.I have tried different colored centers for the flowers and have settled on Youghiogheny ” Laburnum ” glass. I may yet change these as the panel develops. I have added more of the background glass now which is Youghiogheny stipple glass, code NO 57 ” Neodymium Pink with Peach Gold & Bubblegum “. I have taken the background glass down the left hand side of the panel here and am thinking of introducing some fracture and streamer glass on the right hand side, and also some water effect along the bottom of the panel. 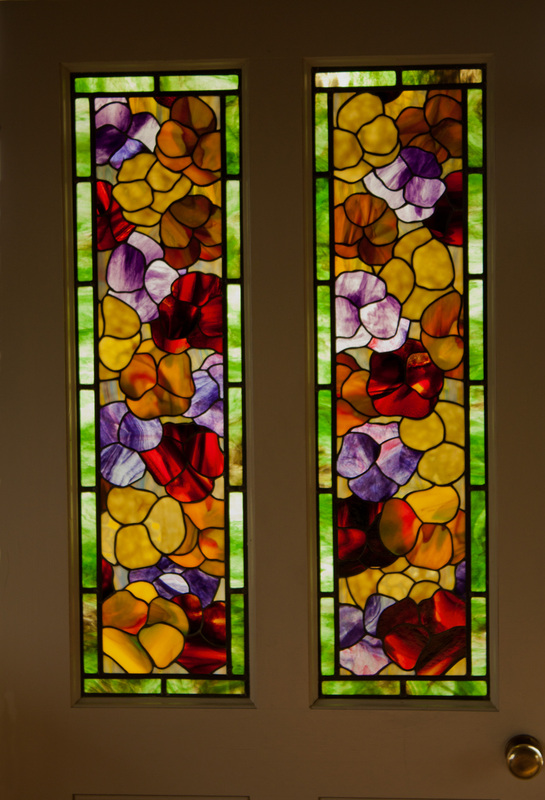 Irises must have been created for stained glass they just work so well, the shape and the colours lend themselves to almost any design. This panel was designed and constructed in about 40 hours, the glass is Youghiogheny stipple. This is just a small panel made with Bulls eye cats paw pink opal and Bulls eye mardi gras glass, the border is a Uroboros ring mottle. 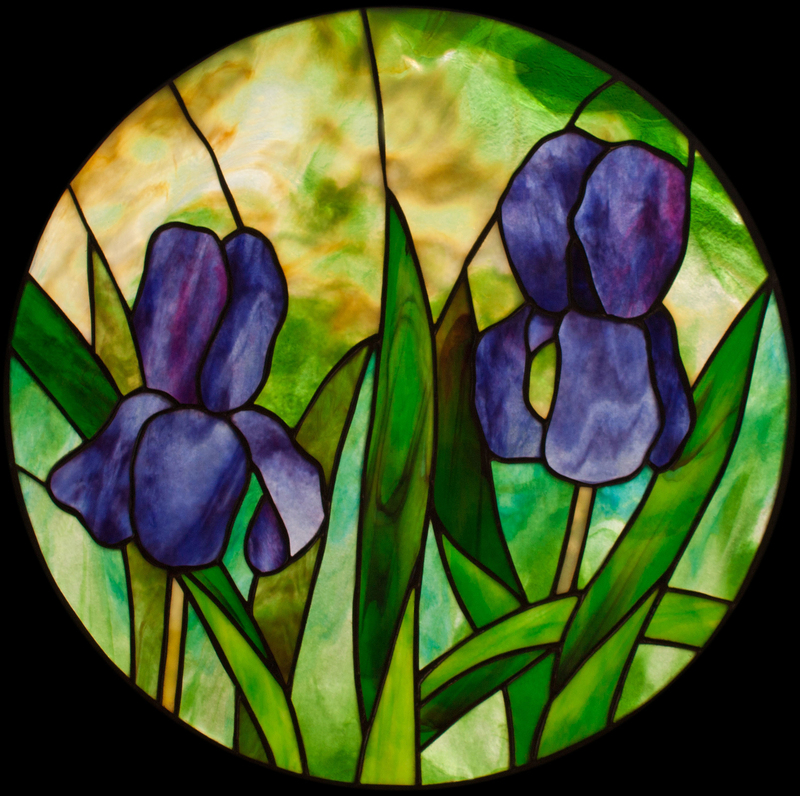 When using art glass you always seem to end up with odd pieces that you simply have to get into a panel, which is the case here, The background glass dictated everything, the colour of the irises compliments it so well. Only enough for a small panel though. These panels were inspired by the work of Kaffe Fasset and were the first of my original designs. 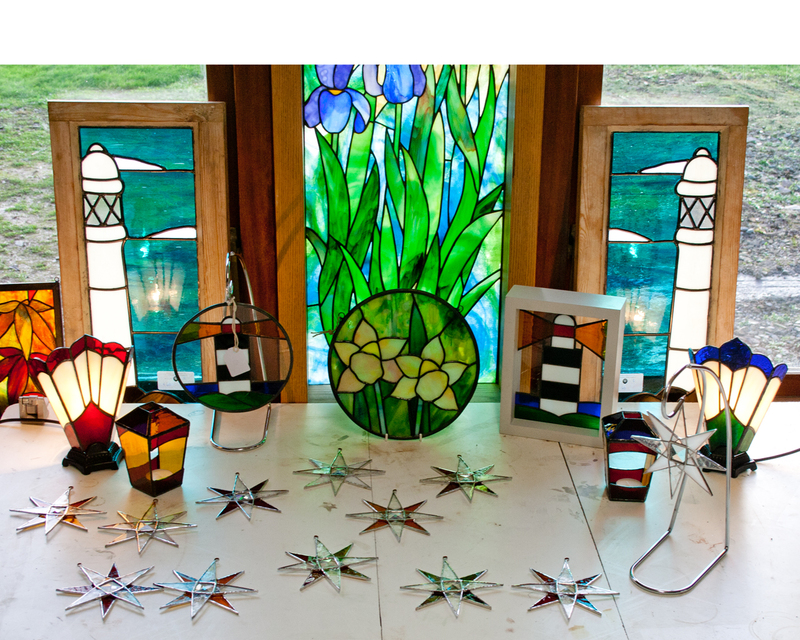 I had been making Tiffany lampshades for some years but I always wanted to do my own designs at some point. I used Uroboros and Youghiogheny glass for the pansies and concentrated on the shapes and colours of the blooms, deliberately cramming them together. I then used the green border to frame the flowers and balance the overall effect. This is a Poppy panel made with Youghiogheny stipple glass, the design was draw as a sketch and then just adapted for stained glass. This method seems to work best for me, it keeps the design fresh and free flowing rather than the rigid lines of traditional stained glass.